Providing Pre-Employment Screening for both corporate and charity clients. Flexible, robust and cost effective screening solutions to ensure you have the right people for the right roles, first time. Screening will reduce the risk to organisational reputation and provide a constant high level of protection. We provide a robust and cost effective screening process and deliver this in clear and structured reports. SCREENING-Employment and pre-employment screening. Background checks. Individual checks, Volume Screening. Criminal history and rights to work screening. Screening packages and bespoke screening solutions. CLIENT REGISTRATION-Take a moment to register for immediate access to screening. Simple to do with no obligations. Choose from a range of existing packages or select from a list of bespoke screening options. CANDITATE REGISTRATION-Take a moment to register for immediate access to screening. Simple to do with no obligations. 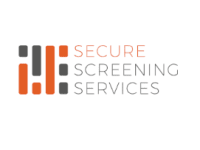 WHY USE SECURE SCREENING SERVICES?-We know that screening is the cornerstone to any organisations success. Getting the right people for the right roles is hugely important and our processes will help you achieve that. Screening will ensure your confidence in your people and allow you to fulfil your legal and regulatory obligations. Great service from a professional company. From start to finish Secure Screening Services understood my needs and my dealings with them have been easy. The quality of work was superb and great value. We’re glad that you were happy with the service. Thanks for the great review! Excellent, quick and easy process. Simple to set up and great communication from the representative I was in contact with. A very positive experience, a service which I will use in the future . Thank you for all of your help with setting up- it took minimal effort but I felt I had maximum gain. Thanks for the 5 star review! It was a pleasure to help. Excellent communication with these guys. Friendly and professional. Fast and thorough service.